Nine’s momentum in morning television has now spilled over from Today wins to victory for Today Extra, the rebranded show hosted by Sonia Kruger & David Campbell. It is the first time Today Extra (or its predecessors Mornings, Mornings with Kerri-Anne) have beaten the reign of Larry Emdur and Kylie Gillies head to head in survey since Seven’s show began in 2007. Today Extra average 132,000 viewers for the week while The Morning Show drew 129,000. The Morning Show won more days (Monday, Wednesday and Thursday) as high as 142,000, but Nine went as high as 159,000, winning on Tuesday and Friday. Seven won the week in Sydney, Brissy and Adelaide but Nine took out Melbourne and Perth. Best for Studio 10 was 81,000 although it codes from 9:30 -11:30. 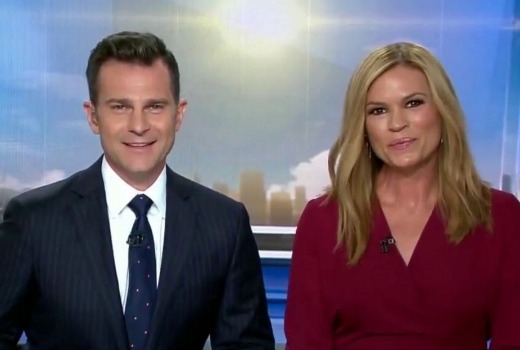 The Morning Show’s defeat appears to have been due to its softer lead-in from Sunrise which is yet to win a survey week over Today this year. Last week Nine’s show averaged 326,000 to Seven’s 290,000. Despite the losses at morning, Seven is on a roll in primetime, set to win six from six survey weeks over Nine, which has had its lowest start to the year since OzTAM began. Just to be entirely accurate, ABC’s Insiders is Australia’s most watched morning show with 443,000 across two channels. Nine won in Perth? That’s not a typo? If it’s true I’m pleased for Nine, they’ve made huge improvements in news and community engagement since NEC took over from WIN. It’s during the morning period from 6am-11:30am. The real headline here is Nine beating Seven in Perth. Good job, Sonia and David. A win is a win but it’s all in the spin. Difficult to sell yourself as the most watched morning show when three days of the week you’re not.